ABOUT a dozen residents have been left homeless following a string of destructive storm cells - and authorities are warning of more to come. 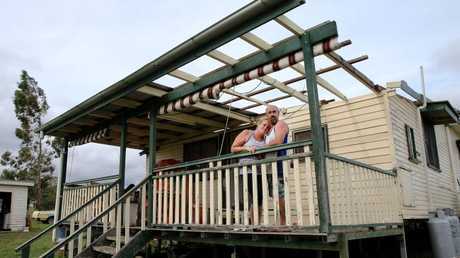 The clean-up is continuing after a "cyclone-like" supercell tore through almost 300km of southern Queensland yesterday. The weather bureau said storms developed at Tara, south of Chinchilla, before moving over Brisbane's northern suburbs by noon. Damaging winds tore off roofs, rain caused flash flooding and golf ball-sized hail pelted down. More than 6000 homes lost power. The bureau's 128 km Brisbane (Marburg) Radar Loop showing storm activity at 8am on March 14, 2017. 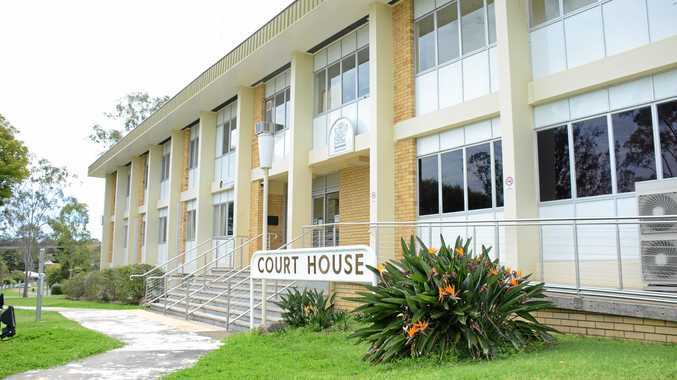 At least two homes were destroyed in Esk and another at Goombungee, north of Toowoomba. Locals said conditions were "cyclonic". "The wind was coming in from all directions," Goombungee resident Chris Lee said. "It was like nothing I've seen before. "It was over really quick as well, like 10 minutes. I'd describe it as a cyclone." Much of the inside of the home he shares with partner Kylee has been left water damaged, forcing the family of eight to move out. "It looks like it'll take a little while to fix," Mr Lees said. "We'll just stay with friends for the time being while it gets fixed. It's terrible really." High winds tore down power lines at Esk and lightning strikes were blamed for knocking out two substations in Brisbane's north. Heavy rain and hail also lashed other parts of the state, with 58mm in 30 minutes reported at Dayboro. Last night a severe thunderstorm warning for damaging winds and heavy rainfall issued for parts of the Gympie and South Burnett regions was been cancelled. The Bureau of Meteorology had issued the warning at 9.56pm but cancelled it an hour later. Rain at Dalby : Suzanne Mengel‎'s footage of a storm in Dalby. A more general severe thunderstorm warning remained current for the Wide Bay and Burnett and parts of the Capricornia and Southeast Coast districts at 11pm. According to the RACQ Esk has been the worst area affected by the this week's storms. 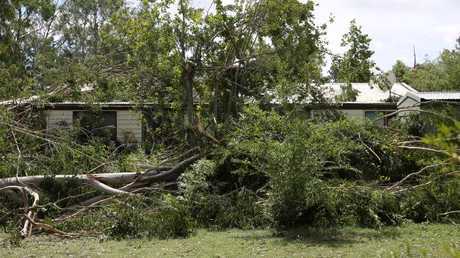 A total of 31 storm damage claims have been lodged in the past two days, the insurer confirmed. On Tuesday night Toowoomba residents were urged to stay off the roads as heavy rainfalls caused flash flooding. Police said several drivers became stranded on flooded roads, with the motorists saying they couldn't see the road in the downpour. Around 50mm of rain fell in Toowoomba between 6.45pm and 7.45pm Tuesday, with total rainfall for the day more than 70mm. The bureau warns severe storms could hit Queensland, from south of Moranbah and east of Charleville, for the rest of the week.